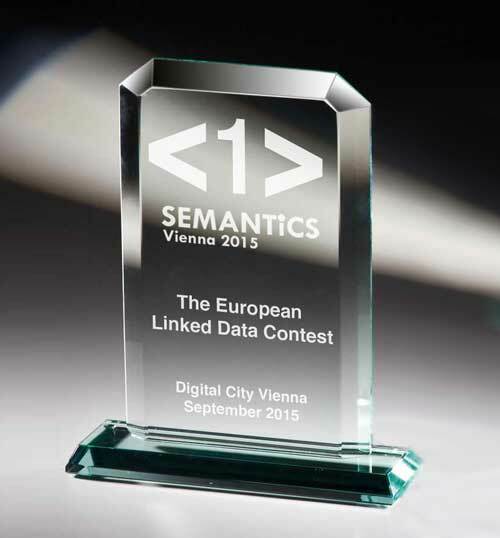 SEMANTICS gives awards on Best Papers, Best Posters, Innovation Projects and the new donated price for the European Linked Data Contest. For the category "Linked Open Data" the pan-european consortia Open PHACTS won the price for their activities targeting a semantic interoperale drug discovery. Winner in the category "Linked Enterprise Data" is the dutch company NXP Semiconductors with their project NXP Enterprise Data Hub. The SEMANTiCS conference is a venue, where Academia and Industry meet to close the gap and transfer innovative ideas and solutions. Among all contributions to the SEMANTiCS conference, members of the Insitute for Applied Informatics (InfAI, http://infai.org) will choose the "Best Transfer and Innovation Project". We would like to value the hard work and effort undertaken to push research toward business-ready technologies.